The iPhone 5c, Apple’s first attempt in providing colorful range, has just been officially announced, and after months of rumor and speculation, we finally have all of the official details. 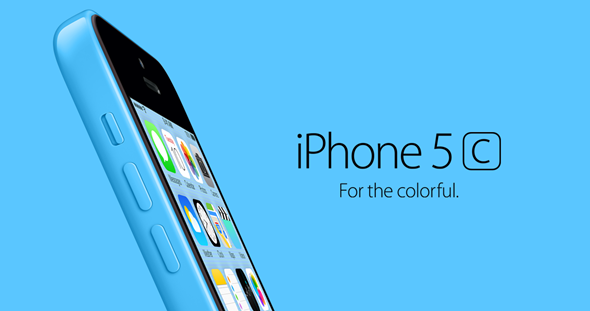 Read on for everything you need to know about the new iPhone 5c. The budget model runs on the same dual-core A6 processor seen within the iPhone 5, which means daily tasks on the iOS 7 operating system should be a relative breeze. It was heavily rumored that Apple would continue using its in-house iPhone 5 SoC for the iPhone 5c, and following the announcement, we now know this to be the case. 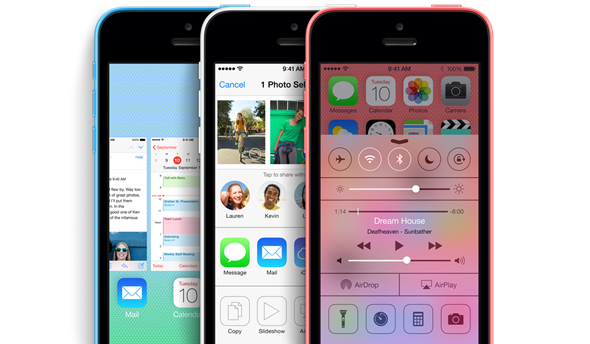 As far as storage goes, the iPhone 5c arrives in two storage options: 16GB and 32GB. Those who were wondering whether the 5c will be available in 64GB configuration will be disappointed. As per the leaks and speculation, the iPhone 5c is comprised a polycarbonate finish to the rear, and arrives in a plethora of different colors, including green, yellow, blue, white and pink. This won’t have the same premium feel as flagship iPhone models we’ve seen, but given how many high-end smartphones, like the Nokia Lumia 920, have sported a shiny plastic finish in the past, it should still feel like a well-built Apple product to the touch. The Home button remains at the bottom in the center, providing the same functionality it always has, while the volume rockers sit on the left-hand side. In essence, the iPhone 5c is very similar to the iPhone 5, but takes away one or two perks in order to remain as inexpensive as possible. Like the iPhone 5 before it, the iPhone 5c is fully supportive of 4G LTE with support for even more bands around the globe, and with many cellular providers now driving forward their efforts towards 4G, this can only be a good thing. Ideal for streaming movies and downloading music, 4G LTE ensures ultra-fast data speeds when not connected to a hotspot, and with the iPhone 5 having been the first handset to offer support, the iPhone 5S follows on in a similar vein. Wi-Fi, meanwhile, supports both the 2.4GHz and 5GHz bands, which, in layman’s terms, means you shouldn’t experience much by way of interruption when using your Wi-Fi at home. Rest is all standard, such as Bluetooth 4.0, GPS, cellular triangulation etc. The main camera, like the processor, is borrowed from the iPhone 5, with that same 8-megapixel offering to which we’ve already become accustomed. When it did arrive late last year, it boasted better low-light performance than those of its predecessors, with an F/2.4 lens, so those with a tendency to get snap-happy on the likes of Instagram and Flickr should be more than impressed by this revelation. The front-facing camera, meanwhile, shoots in 720p HD, and while it’s by no means comparable to the rear shooter, should still do a solid job with FaceTime HD or taking those selfies. In the camera department, it’s set in stone that the iPhone 5c is surely a winner and will not disappoint the average user. The battery and has been improved when compared to the iPhone 5, and should keep things ticking over through general use. With some competing devices offering over 3,000mAh, it doesn’t seem like an astonishing battery life, but with most iPhone 5 users satisfied by the longevity of their device through day-to-day usage, the iPhone 5c should once again be able to sustain a full day on a full charge. The iPhone 5c offers 10 hours of talk time on 3G, with up to 250 hours of standby time. 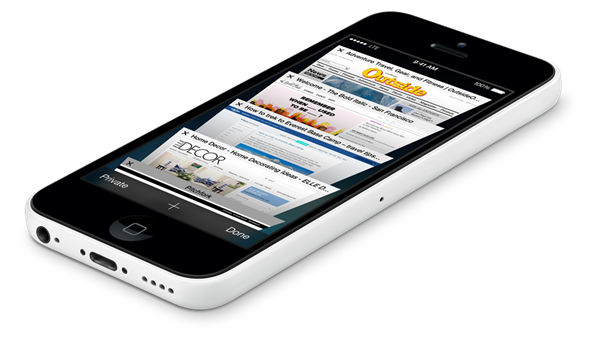 When it comes to Web browsing, the iPhone 5c is a champ. It offers 8 hours of 3G Web browsing, 10 hours on 4G LTE and up to 10 hours on Wi-Fi. iPhone 5c offers 10 hours of video playback and 40 hours of audio playback. Naturally, the iPhone 5c features the Lightning dock connector, after the phasing out of the larger 30-pin connector late last year. We’d love to have seen Apple go for something a little less proprietary, but hey, that’s Apple! Out of the box, you get your dock connector, wall charger, EarPods headset and the usual literature, including quick-start information and, of course, your Apple stickers. 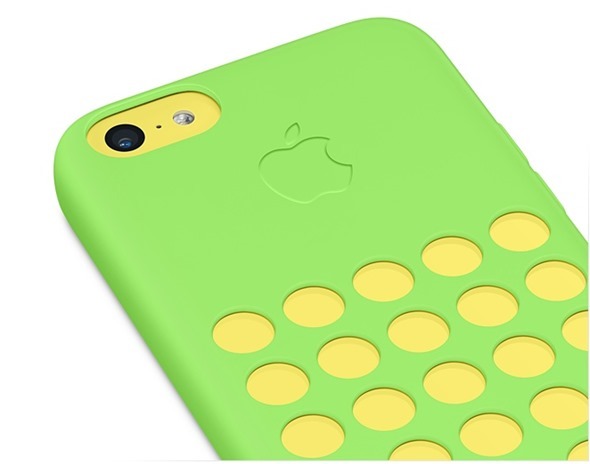 But that’s not all, Apple is also introducing new silicon cases for the iPhone 5c, and from the image (above), you can see, gives your device a really cool look. For $29, it’s a good buy and comes in a variety of color options! New official lightning dock for iPhone 5c is also available from Apple Stores worldwide. The 16GB iPhone 5c will cost $99, and the 32GB model will cost $199 on a two-year contract. The price for the unlocked model is as follows: 16GB for $549 and $649 for 32GB. iPhone 5c pre-order will go live starting September 13th, and will be available in stores on September 20th.